World Cup fever may be gripping people all over the world, but it’s been a dismal tournament for England. However, there are still plenty of opportunities to bet on matches – in fact the 2014 World Cup is set to be a bonanza for the bookies as £1 billion is wagered on games, goals and scorers over the course of the month-long tournament. But what at cost to the ordinary punter? Gambling debt is one of the most serious and common causes of people getting into financial difficulty. Recent relaxation of betting laws and the spread of online gambling means it’s easier than ever to drop money on a sporting event. Many people bet responsibly but others find it hard to control their gambling. Up to 590,000 adults in the UK may have a gambling problem. Unlike cigarettes or alcohol, people addicted to gambling also have to cope with potentially enormous debts – compounding the problem. Knowing when to spot that gambling is becoming a problem is key. Gambling debt it caused by allowing your losses to mount up and being unable to afford what you are losing. 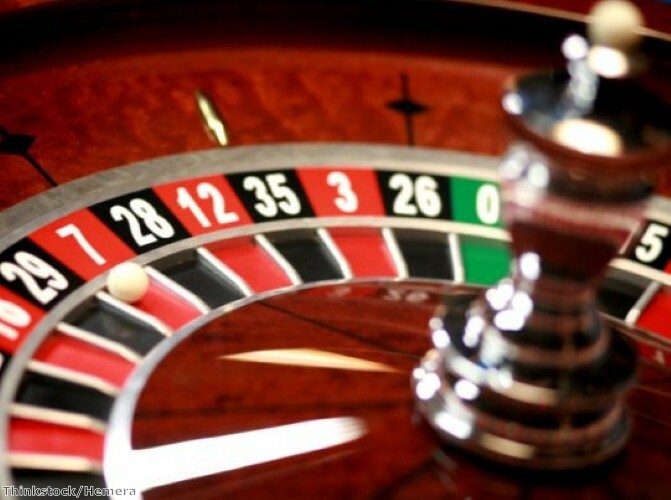 Every gambler knows they are likely to lose money, most accept it as part of the fun. But gambling becomes a problem when you start chasing wins. 1) You spend more money than you afford. “If you continue to gamble, you could get into serious debt. You could also lose your home and your possessions,” warns the charity. 2) You neglect other areas of your life, such as your work or family. Many gambling addicts also see their marriage break down or they lose their job, creating yet more problems in addition to the debt itself. 3) You experience behavioural change. “For example, you may become depressed when you lose or over-excited when you win. In serious cases, you may feel that you are only really alive when you gamble,” says the Mental Health Foundation. 4) You act out in an inappropriate or even criminal way. For example, stealing to fund your gambling habit or lying to friends and family. Gambling debt can lead to all sorts of problems, including personal bankruptcy or losing your home. As with any debt problem, the best thing is to share it with someone else. But first you must admit that there is a problem in the first place. “If you think there’s a problem, the chances are there is one,” says GambleAware, a body that aims to promote responsibility in gambling. Knowing the signs are important, but ultimately you need to be able to spot those yourself. How can I minimise the effect of debt on my family?